Whatever you thought of last night's season 8 premiere of "House", you have to admit that it's hard to imagine the medical TV icon of an earlier generation, Marcus Welby, M.D., ever finding himself behind bars. The evolution from TV physicians who were almost always really nice guys to the rough and biting Dr. House is just part of a TV industry response to changing technology, according to communications researcher Amir Hetsroni, PhD. He documented a turn for the worse in TV patient outcomes, concluding that TV patients are nine times as likely to die in the hospital as are patients in real-world hospitals in the United States. He thinks the turn toward a darker, grittier portrayal of life—and more frequently death—in medical shows was part of a larger course change by the major broadcast television networks as they tried to adapt to the growth of cable television. HBO and other cable-only networks not only did not have to abide by the constraints of regulations that set standards for acceptable speech and other content on broadcast programs, they weren’t trying to please the mainstream. Instead of devising programs acceptable to almost everyone, cable channels consciously sought out viewers willing to pay extra in order to watch the kind of programs not available on free, over-the-air TV. Strangely, Stephen Colbert and Jerome Groopman also discussed Marcus Welby yesterday. Colbert made the point that, unlike Groopman, Marcus Welby didn't ask his patients what they wanted. He just did what was right for them. 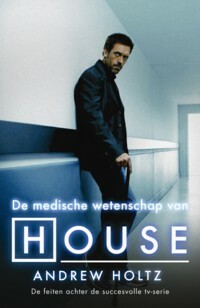 In this respect House is actually more like Welby than a "modern" patient-oriented physcian like Groopman. Medicine makes strange bedfellows, I guess. They became more realistic at least. Though even a dentist in summerville sc could comment that it's a bit too terrifying for a mainstream audience.